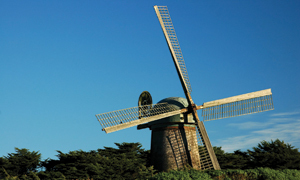 What's happening in San Francisco parks | Find it here. With more than 350 parks, 20 recreation centers, countless community open spaces, and the iconic features that make many of them irresistible, there is always something happening in San Francisco parks. Whether you are looking for a class or day camp for your child, a weekend concert, to lend a hand in your community with a volunteer day, or try your hand at crafts or pottery, there is truly something for everyone in San Francisco parks. Visit our interactive map to search for what interests you, learn about a park and its amenities and hours, or find out what community groups are active in your neighborhood. Our new interactive map and events system is still in Beta version, we are adding events to our system and testing our features to make sure they meet your needs and our tool for finding out what's happening in parks is the best it can be. If you have suggestions, please contact feedback@sfparksalliance.org.